Got tickets to the sold out Gallifrey One convention in Los Angeles over Valentine’s Day weekend? STAR TREK CONTINUES cast and crew will be on hand – including Episode 4 guest star Colin Baker – on Saturday, February 13 at Gallifrey One, the big science fiction convention staged at the Los Angeles Airport Marriott. 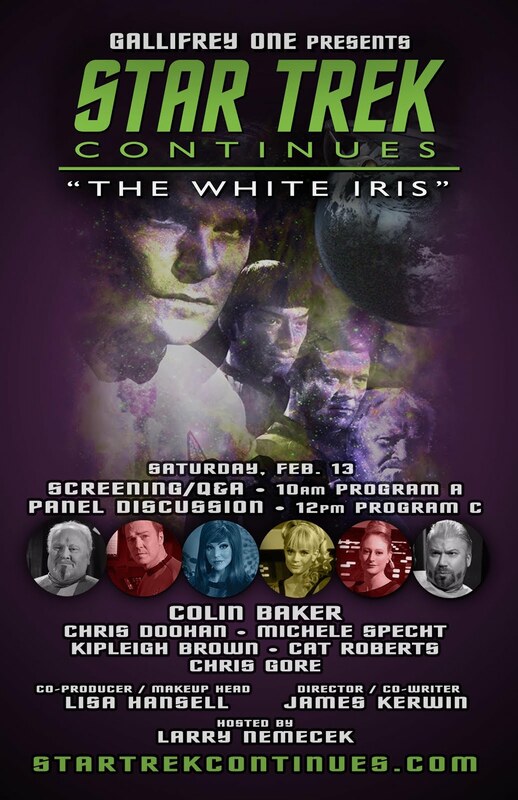 We’ll be screening Episode 4, “The White Iris,” and then holding a question-and-answer session starting at 10AM on Saturday, February 13. A second panel discussion, also on February 13, will go into more detail about the production of STAR TREK CONTINUES episodes and will include a screening of the “gag reel” and other clips. The second session runs from 12noon to 1PM in Program Room C at the Gallifrey One event. 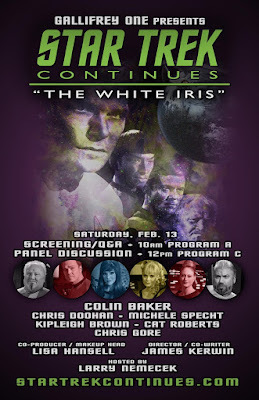 In addition to Baker, STAR TREK CONTINUES cast members planning to participate include Chris Doohan, Michele Specht, Kipleigh Brown, Cat Roberts, and Chris Gore. The panels will be hosted by Larry Nemecek and will also include Makeup Head and Co-Producer Lisa Hansell and Director and Co-Writer James Kerwin.